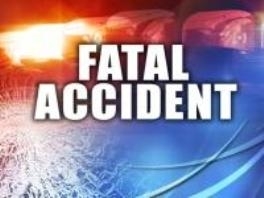 A two vehicle accident has claimed the life of a Liberal man. The accident occured Friday afternoon at 4:10pm, at the intersection of Seward County roads 6 and O. A 2004 Kenworth semi being driven by John Klassen, 45, of Liberal, was westbound on Seward County road 6 when the semi failed to yield to a 1989 Ford passenger car being driven by Juan D Juarez-Valenzela, 78, of Liberal. Valenzela’s vehicle struck the semi in the drivers axles and came to rest in southwest corner ditch of intersection. Valenzela had to be exticated from his vehicle and was taken to Southwest Medical Center in Liberal where he was pronounced dead. Neither Klassen or his passenger, Anna Klassen, 48, of Liberal, were injured in the accident.